Walsall Wood FC v Westfields FC: Away match today! 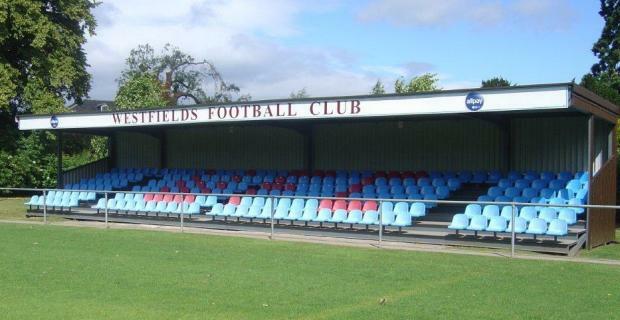 Westfield play at the allpay.park ground – Image from Westfields FC’s website. Walsall Wood F.C. v Westfields F.C. This entry was posted in Environment, Events, Followups, Fun stuff to see and do, Interesting photos, It makes me mad!, Just plain daft, Local media, News, Reader enquiries, Shared media, Social Media, Spotted whilst browsing the web, Walsall Wood stuff and tagged 2016, 22 October, allpay, away, Events, FC, football, Footy, Good of the Wood, Hereford, Lichfield, match on, Park, Saturday, soccer, Things to do, Town, Walsall Wood, Walsall WOod FC, Westfields. Bookmark the permalink.